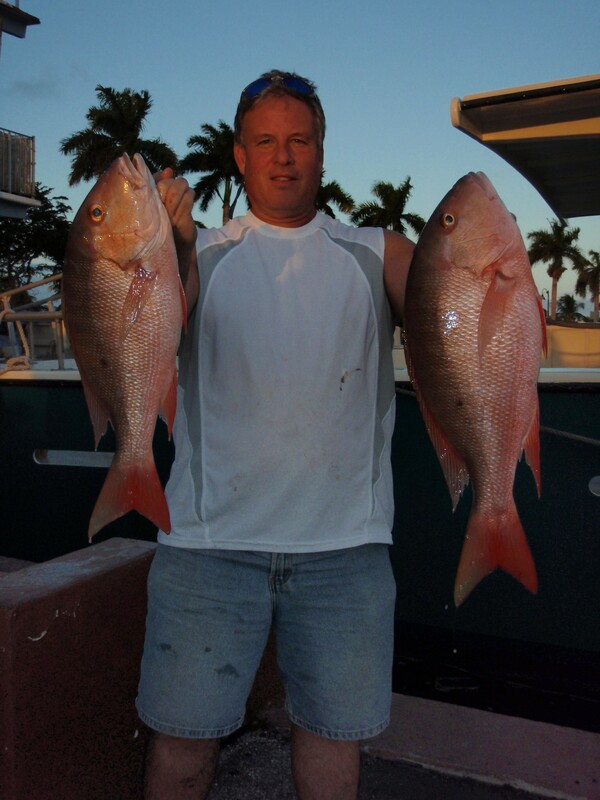 Nice Mutton Snappers like these found their way into the Lady K’s fish box during the week of Thanksgiving. Anglers spooling the bottom also found Yellow-tail Snapper and Gray Triggerfish while a few Mahi Mahi found free-lined baits more appealing. 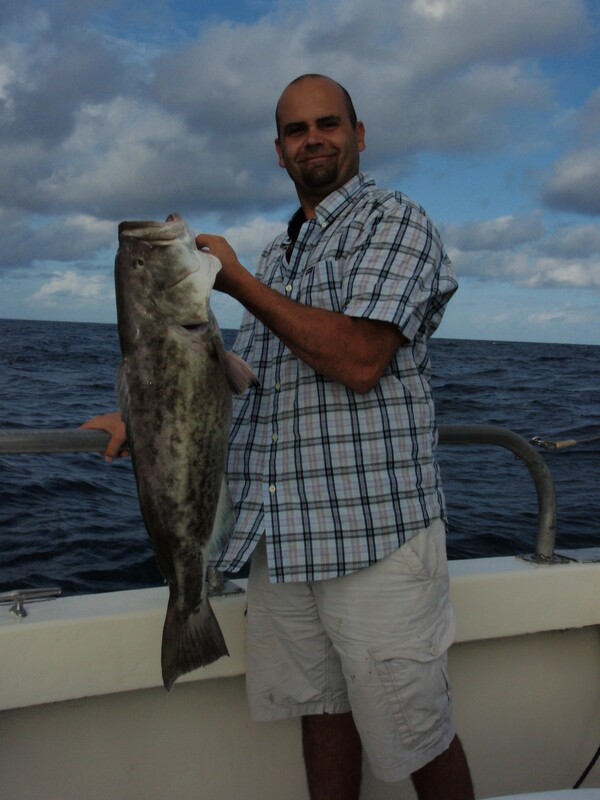 Gag Grouper, also known as Gray Grouper, are still finding their way aboard the Lady K. Many of this brutes really tax an angler’s skill as they make hard runs back to a hole or ledge after inhaling a sardine fished on or near the bottom. 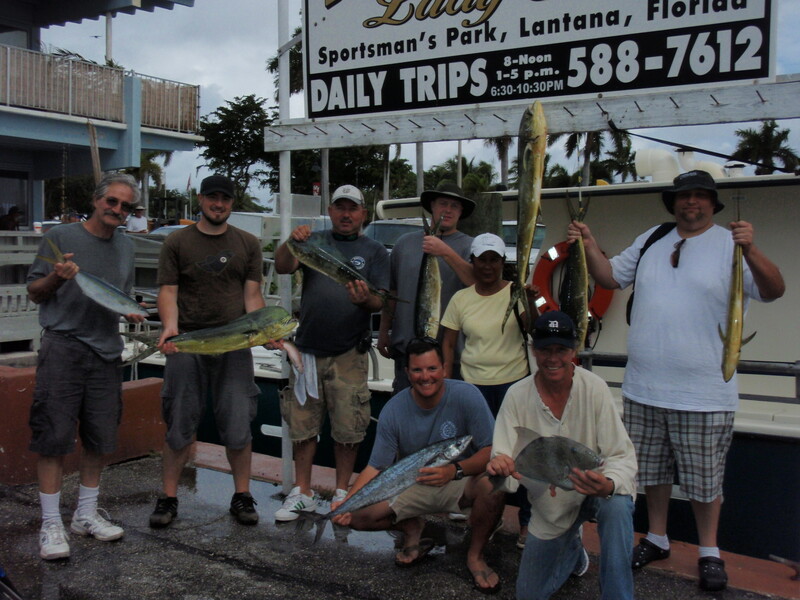 Sharks have also taken a few of the delicious fish as anglers fight their fish to the surface. Grouper can grow to over 60 pounds although the average fish will weigh between 12 to 18 pounds. 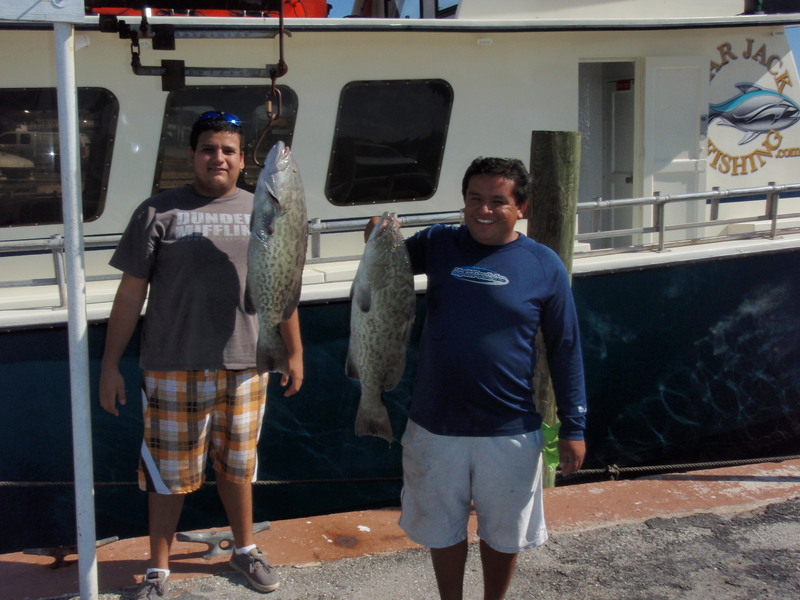 Anglers fishing for Grouper have also been catching Cobia, Banded Rudderfish and Gray Triggerfish up to 8 pounds. 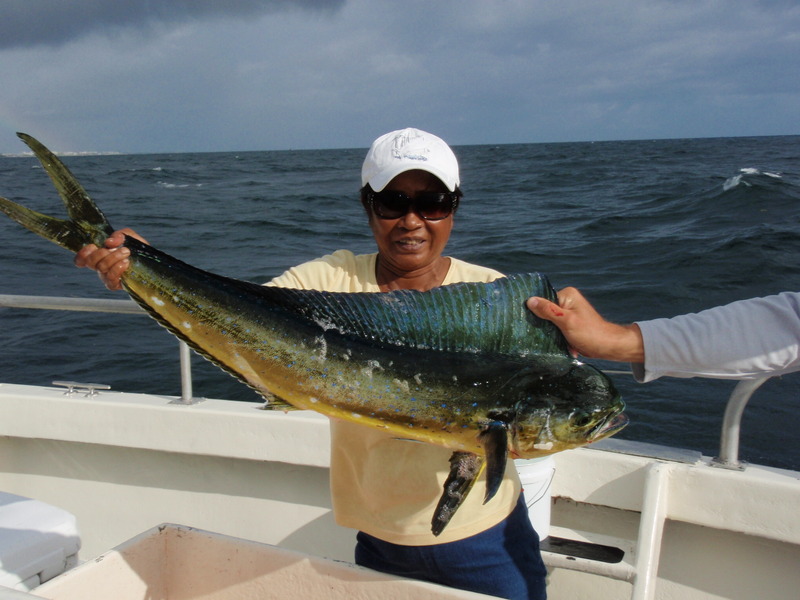 VIP angler Mia caught this beautiful 15 pound Mahi Mahi cow while drifting a sardine close to the boat while a school of smaller fish in the 6 to 8 pound range were being brought up by other anglers. The holidays are here and BarJack Fishing has plenty of Gift Cards available at the ticket office for the Lady K drift fishing vessel. The perfect gift for all the anglers in your family. The entire crew of the Lady K wishes everyone a very happy and safe holiday season as we continue to bring the best service possible to all of our anglers.